No more interruption by Lift! Can a lift continue to ride more than 200 times without energy? Is it possible to save more than 70 % energy? Every lift motor operates as a generator in braking mode, when moving downwards with full load and upwards with little load. In classical lifts, the energy generated frequently by the lift motor in braking mode is consumed on a resistor fitted to the drive. The "Green Motion" Smart Lift Energy Management System directs this generated energy to the battery system instead of burning it at the resistor, and it is used free of charge when the motor runs. Hence, our SQML Gearless Lift Motor provides more than 70% power saving with Green Motion. Green Motion Smart Lift Energy Management System consists of one SQML Gearless Lift Motor, one convertor supplied by 220 V single phase, one smart card and an battery system. Every lift, going down with high capacity and up with less capacity, will work as generator mode. In the classical system this energy will be burned by a resistor. Green Motion Smart Lift Energy Management System will put this energy into the battery system. 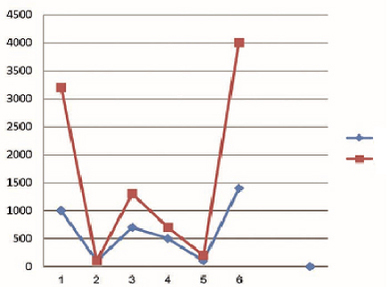 It is possible to produce a lift in the A energy consumption class using our SQML gearless lift motor. 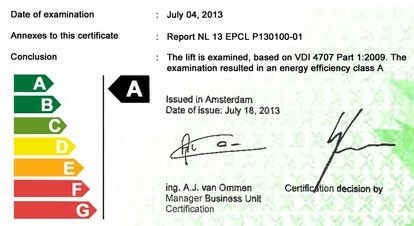 EMF Motor Iranian distributor has certificated the A energy consumption class by Liftinstituut using our motor which works by the LiProKa motor principle.